Less than 70% of all Americans have some form of life insurance coverage. Many are extremely under insured. The reasons why are varied. Many people think they can’t afford it. Or they think they don’t need it. Whatever the reasons, too many people buy into myths about life insurance instead of learning the facts. 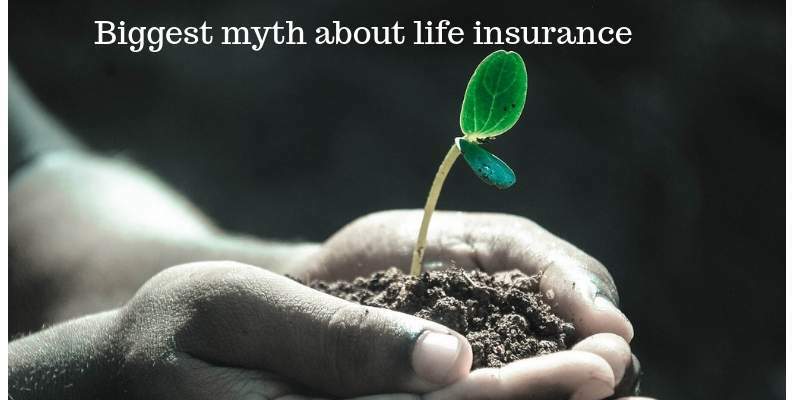 Here some debunked myths about life insurance. The life insurance that you get through an employer can truly be a Godsend. Over 56% of Americans get all or a part of their life insurance through an employer-sponsored plan. Employer-sponsored life insurance premiums are paid by the employer in a 70% to 85% ratio against the remainder. That is paid by the employee via salary deduction. Your employer-sponsored life insurance may only be the equivalent of two to six times your salary. That may sound like a lot, but it isn’t if your work plan doesn’t includedependents. Depending on the work plan, spouses and children may not be covered. Or a limited number of dependents may be covered. If you move or change jobs, your employer-sponsored life insurance doesn’t go with you. You may end paying exorbitantly for temporary plans through COBRA. You are better off applying for supplement plans than just relying on employer-sponsored life insurance. Life insurance policies are designed to benefit young people. Statistically speaking, they live longer and have more time to live to pay for premium fees. You may not need it at a young age, but the point is to have it when you need it. The time that you accept that you need, it may be extremely too late. The older that you get, the closer you are to death. It won’t be impossible for to get life insurance coverage, just more expensive. You are also more prone to illnesses, diseases, and other health problems that develop with age. The longer that you wait to get life insurance coverage, the more paperwork and expense you will have to deal with. Also, life insurance policies gain more cash value over time. The best time to get a life insurance policy is when you are young and healthy. Life insurance can be customized to fit your budget and lifestyle. You can start with a bare bones kind of policy. You can then convert it or add more coverage benefits to it later on as you make more money. Well over 80% of Americans wildly overestimate the cost of life insurance. Over 63% think they can’t afford it at all. The average life insurance policy is worth about $250,000. Over a 20 or 30-year term, that could be the equivalent of about tens of dollars a month, or $150 to $250 annually. Life insurance policies can be leveraged against for loans. That is a benefit that shouldn’t be overlooked. How much you pay for life insurance, and the accompany benefits, varies on a case-by-case basis. It never pays to assume. Even if you are on a fixed income you can find an affordable option. This is a dangerous gamble. Investment can lose their value. Also, unless you are extremely rich, the value of an investment will not last indefinitely. If you have a large family or must pay for serious medical treatments, an investment can be easily depleted. Life insurance policies can stay active for the rest of your life as long as you pay the premium. Talk to a life insurance agent or broker. Get the facts for yourself. Don’t go years without life insurance coverage, coverage you can afford, based on beliefs in myths.